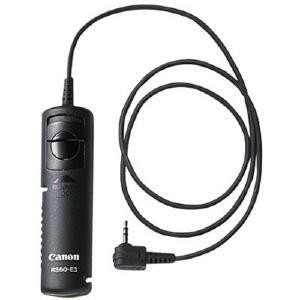 A genuine Canon remote release (electronic cable release) for compatible EOS and PowerShot cameras with the E3 connection. Using a remote is useful when your camera is on a tripod, particularly for longer exposure times. The cord plugs into the socket provided on these models, and allows shutter release from up to 60cm (2 feet) away. This is ideal for any tripod-mounted applications where it reduces vibration, as hand movements aren't transmitted to the camera. The release has a two-stage action, with first pressure activating the camera's metering system, and full pressure firing the shutter. There's also a locking switch for continuous operation. Also compatible with selected PowerShot models – check your instruction manual for more information. Just what I wanted. Only by reading EOS magazine did I realise that this was just what I wanted for my EOS 500D.